The Worcestershire Regimental Archives hold extensive records and other material which could help anyone researching their ancestors who served with the regiment. They also provide help and advise on how to seek further information. The search fee for this service is £25 and is non-returnable. "The Worcestershire Regimental Museum Trust"
The permanent display of the Worcestershire Regiment Museum was moved from Norton Barracks to Worcester City Museumand Art Gallery , Foregate Street, in 1970. By the early 1990's it was realised that it needed to be updated and refreshed in order to appeal to a public with little knowledge or experience of the army. In 1994, a project team was formed comprising representatives of the Regiment, the Worcestershire Yeomanry and the City Council with the task of planning the refurbishment, and they asked the National Army Museum to produce a design proposal for a new display. The original intention was to carry out the project over a number of years as funds were raised, but the advent of the National Lottery provided an opportunity to secure sufficient funds to complete the project at one time — provided that a scheme could be devised which would meet their criteria. In 1996, the fund-raising started with an appeal amongst those who served in The Worcestershire Regiment to raise £120,000. With most of the funding secured by October 2002, the museum was closed and work started in earnest. Stuart Hadaway, a recent graduate from Leicester University, was recruited as a researcher and much of the detailed work on the project subsequently fell to him. The City Council carried out the building work required on the galleries while conservation work was carried out on the objects and the detailed layout of new galleries was planned in conjunction with the National Army Museum who provided the design input and supervised the contractors. The refurbished galleries, which were opened to the public on 28th July 2003, now include the Regimental and Yeomanry collections (previously in separate galleries) plus part of the City Council's Worcester at War collection. This latter covers aspects of life in Worcester during the Second World War and was included because it forms an important part of the school curriculum; we were advised that its inclusion would enhance the prospect of receiving a Lottery grant. L-R: Mr. Michael Brinton the Lord Lieutenant, HRH Princess Royal, Colonel J. R. M. Hackett (Colonel of the Regiment), Colonel John Lowles, Lieut.-Col. Cartwright and Ian Rutherford. The project, which came in on budget, cost just over £450,000 of which £323,000 came from the Heritage Lottery Fund. The Regimental Museum fund provided £56,000, Worcester City Council £25,000 and the Yeomanry £17,000. The remaining £29,000 came mainly from grant-making trusts. The £120,000 raised from the Regimental Museum appeal has been retained as an endowment fund to help meet the ongoing costs of maintaining the Regimental Collection. In addition to new showcases and updated displays, there have been other significant – though less visible – benefits from the project including the restoration of some Regimental oil paintings and the conservation of other important artefacts. 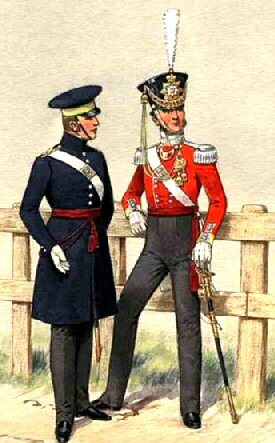 None of this would have been possible without the positive response to the original appeal by members of the Regiment and others, which enabled the museum trustees to demonstrate to other donors the Regiment's commitment to the project and which gave them the confidence to go ahead with it. 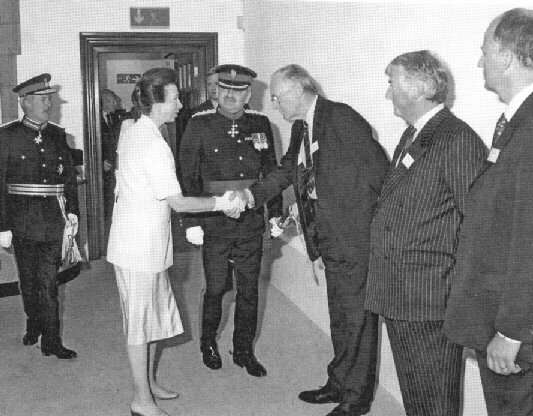 The culmination of nearly ten years' planning and work came on 3rd September 2003 when the Colonel in Chief, The Princess Royal carried out the official opening ceremony. Her Royal Highness took a keen interest in the exhibits and congratulated all those involved in the project for producing an imaginative and informative display, which was the result of several years' hard work by a team led unstintingly by Colonel John Lowles, CBE. The Museum is open Monday to Saturday 9.30 am to 6 pm (5 pm on Saturdays). On Spring and Summer Bank Holidays the Museum is open from 10 am to 5 pm and admission is free. The building has a lift to all floors. The lift entrance is at pavement level in Taylor's Lane and The Worcestershire Soldier galleries are situated on the first floor. The museum is located in Foregate Street above the Library.